We all have within us incredible potential and infinite possibilities to share our unique gifts. Spring is the perfect time for growth and possibilities. The seed of our limitless potential is already within us and waiting for us to fertilize and give it life. All we need is to uncover and ignite our inner calling so that our deepest desires can bloom! This workshop will help you investigate your unique gifts and create steps to put them forth into the world. We will do some self-inquiry exercises and meditation along with a yoga practice to access your potential and manifest what is possible. 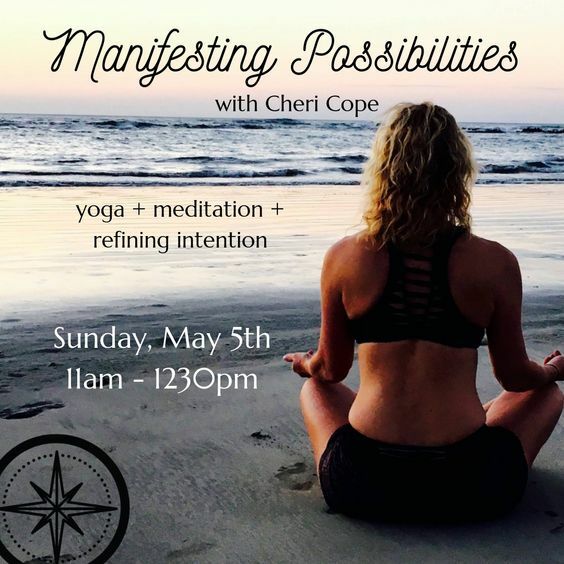 If you came to my Intention workshop a year ago, this is the perfect class to revisit your intentions to reinforce or start anew. Pre-registration required. Open to all levels.